Click here for all homes with 4+ bedrooms or browse all homes below. To be built Capstone Home. This single level 2618 sq. ft. plan is our #1 seller. The price is based on a typical home site. Note: The lot, home, plans, utility connections ARE included in this price. Premium and non-premium home sites are available. Included quality features like, wood floors, cedar lap ext. siding, granite t/o & travertine. 3-bedrm, 2.5 bath, with a 2-car garage. Social($30k)(230mo) or golf membership ($60k)(430mo)required. 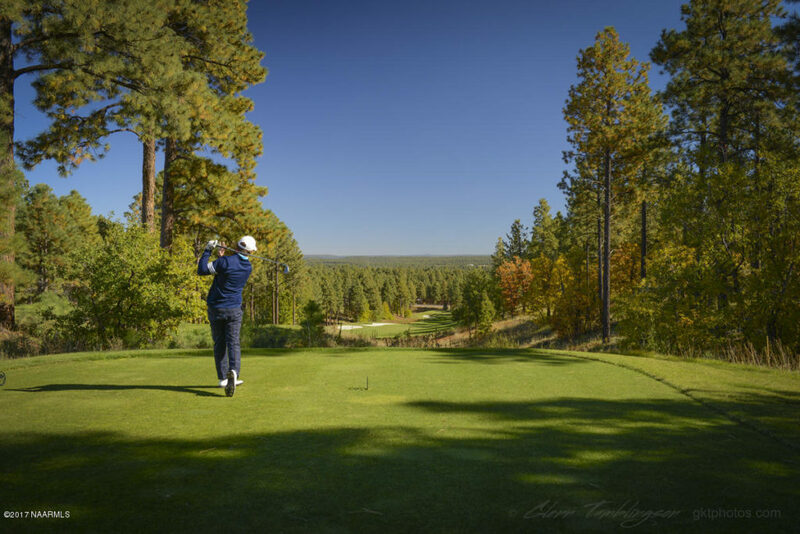 This is a premier golf community at over 7200 feet in elevation. Its common to see Elk & Antelope onsite in the caldera. Amenities; activity & fitness center, pool, spa and tennis. Elegant 25,000 sq. ft. club house for dining and events. Advertised price is a base price and does not include upgrades or potential lot premium (unless otherwise noted). To be Built Home. The view for this lot is spectacular! Backs up to the 4th fairway and green, with nearly 180 degree view. Build this plan, or Capstone Homes can modify it or design another for you. Beautiful Flagstaff Ranch Golf lot. Walk to the pool, fitness center, tennis courts, club, restaurant, etc. Home is fully customizable, from the plan to the finishes. Either a Social or a Golf Membership is available for purchase with this home. Call today to schedule a tour, or with any questions. Beautiful home in Flagstaff Ranch Golf Club surrounded by Ponderosa Pines, mountain views and the Jerry Pate golf course. With room for all, this entertaining home includes a 1066 sq ft beautifully finished basement. Upstairs is the master suite, offering a private deck, a cozy fireplace, sitting area and a luxurious bathroom. Also upstairs is a 2nd en suite bedroom with deck. The basement offers a 3rd en suite bedroom and a huge game/TV living area. Add'l amenities include A/C, 2 fireplaces & 2 laundry rooms. Enjoy the gourmet kitchen with Granite countertops, kitchen island and built in stainless steel appliances. Outdoor is a private deck and hot tub. Close to the Club House, restaurant, pool, tennis courts & fitness center. Golf membership & furnishings are included in the sale. Under Construction Luxury Capstone Homes - Townhome. Can be completed by Christmas! Located in the exclusive Flagstaff Ranch Golf Community. Love to entertain, but still enjoy your privacy? Then, this gorgeous home is perfect for you! 2360 sq foot 3 bed/ 2.5 bath, plus a separate loft. Private cul-de-sac with beautiful view, golf course and forested lots. Base package is full of upgrades, including: Fireplace, Knotty Alder Cabinets, 8' Interior Doors and Stainless Steel appliances. Upgrade options available too! See community map and base options. Social &/or Golf memberships at Flagstaff Ranch. Currently offering special, builder financing! Ask about our other quick delivery homes too. You could be in your new home very soon! TO BE BUILT! Luxury Capstone Homes - Town Home, located in the exclusive Flagstaff Ranch Golf Community. Love to entertain, but still enjoy your privacy? Then, this gorgeous home is perfect for you! 2360 sq foot 3 bed/ 2.5 bath, plus a separate loft and a possible 4th bedroom. Private cul-de-sac with beautiful view, golf course and forested lots. Base package is full of upgrades, including: Fireplace, Knotty Alder Cabinets, 8' Interior Doors and Stainless Steel appliances. Upgrade options available too! See community map and base options. Social &/or Golf memberships at Flagstaff Ranch. Currently offering special, builder financing! Ask about our quick delivery homes too. You could be in your new home by summer!